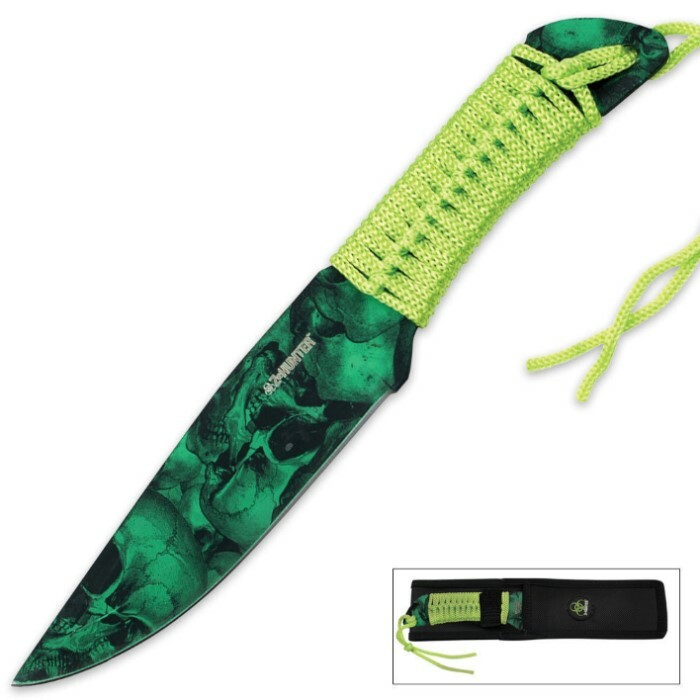 Z Hunter Green Skull Camo Fixed Blade Knife | BUDK.com - Knives & Swords At The Lowest Prices! Forget those boring old fixed-blade knives, and dress up your collection with this Z Hunter green skull camo fixed-blade knife. It features 3mm stainless steel construction with a green skull camo coated finish. The handle is wrapped in green paracord. It includes a custom sheath.